A Catholic-Orthodox conference on "Death and preparation for death in the technological society: bioethics and spirituality". 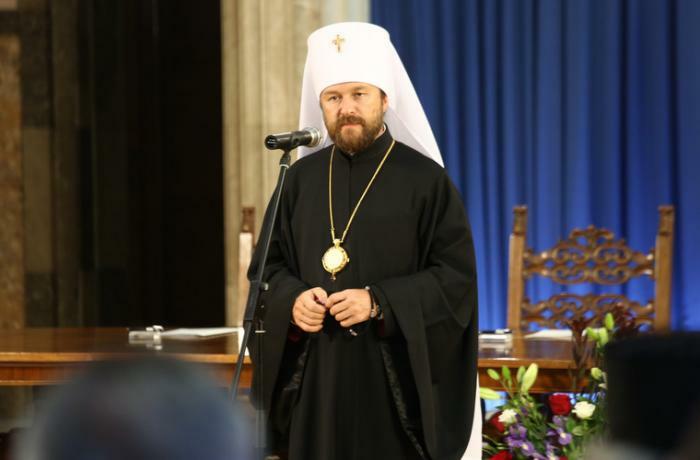 Ilarion: In the West, Christians are being discriminated against in the name of human rights. Mount Athos will welcome all Orthodox, remaining above conflict between Moscow and Constantinople. Moscow (AsiaNews) - Three years after the meeting in Cuba between Pope Francis and Moscow Patriarch Kirill, an international seminar on euthanasia was held in Moscow on February 12 at the Orthodox "Cyril and Methodius" Institute for post graduate research. The theme of the conference was "Death and preparation for death in the technological society: bioethics and spirituality". The meeting was organized by the Department for External Relations of the Patriarchate of Moscow and the Pontifical Council for Christian Unity, with professors of the Cyril and Methodius Institute. The opening address was given by Metropolitan Ilarion (Alfeev), who chairs both the Department and the Institute. He noted that on 12 February 2016, at the Havana airport, the meeting of the leaders of the two Churches "was the fruit of many years of dialogue, and indicated a prospect for the development of our bilateral relations for many years to come". As Ilarion recalled, in order to underline the significance of the historic Caribbean meeting, it was decided to hold a joint conference every year on important issues for today’s society as indicated in the declaration signed by the pope and the patriarch in Havana. On the first anniversary there was a meeting at the University of Friborg in Switzerland, on the significance of the Cuba event for relations between the two Churches. In February 2018 the conference was held in Vienna, focusing on the conditions of Christians in the Near East, which precipitated the 2016 meeting. It was during this meeting that a catalog of churches destroyed in the war in Syria was presented, prepared together by the Catholic-Orthodox working group. This year the theme of euthanasia was chosen, as Ilarion explained, recalling the Christian martyrdom of the first centuries, one of the central themes of the meeting in Havana: "If we are to speak about Christian witness in the twentieth century and in our time, we cannot remain silent about the phenomenon of secularization, which is increasingly felt in European countries of Christian tradition ". As in the Middle East, Christians are subjected to persecution and genocide, thus in the civilized West there is discrimination against Christians, their values ​​and their symbols, in the name of human rights. The common will of the Pope and of the Patriarch, Ilarion asserts, is aimed at defending Christians in all dimensions of their suffering in the contemporary world. "Euthanasia is a crime of the person against themselves and against society", the metropolitan admonished, "and its adoption at the level of entire states reveals a global spiritual disease". 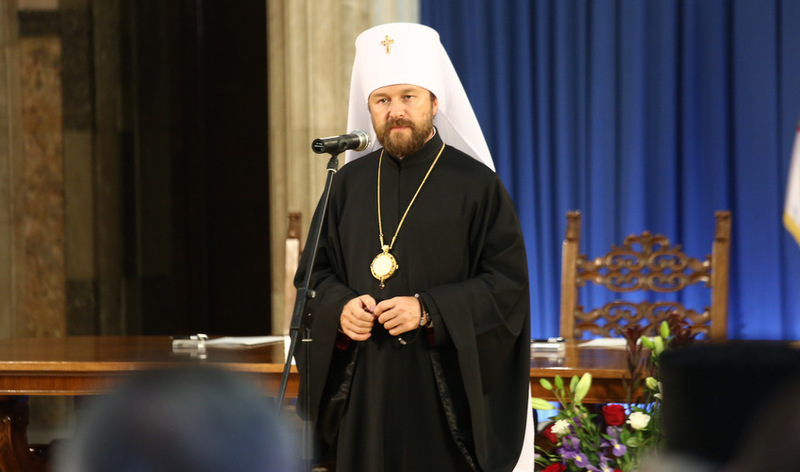 His words were echoed by the president of the Synodal Department for Social Service, Bishop Panteleimon (Shatov), ​​for whom "the theme of this conference does not only concern our faithful, and not only the sick or those who approach the end of life, but it concerns every human being, every mortal being ". The change in the relationship with death in contemporary society imposes a new spiritual vision of life, able to understand the sense of weakness and suffering, said Panteleimon. The president of the Pontifical Academy for Life also attended the meeting, Msgr. Vincenzo Paglia, Metropolitan Nifon (Sajkali), representative of the Patriarchate of Antioch, Bishop Antonij (Pantelic) of the Serbian Church, Archimandrite Serafim (Shemjatovskij) of the Church of Czechia and Slovakia and other Catholic and Orthodox representatives, whose presence also highlighted a particular solidarity with the patriarchate of Moscow in this delicate phase of conflict with the patriarchate of Constantinople and other Orthodox Churches, due to the autocephaly of the Ukrainian Church. On 12 February the assembly of the Holy Kinotes of the monasteries of Mount Athos was also gathered, which expressed solidarity with the ecumenical patriarch Bartholomew (Archontonis) and reiterated that the Holy Mountain remains open to all the Orthodox, without participating in the conflicts and without allowing mutual humiliation.